In case you missed my notice earlier this week, my weekly posting schedule has officially moved to Wednesdays. And since today is the last Wednesday of the month, that means it's time for the Speculative Spotlight, in which I scour the multiverse for hefty chunks of speculative fiction awesomeness. 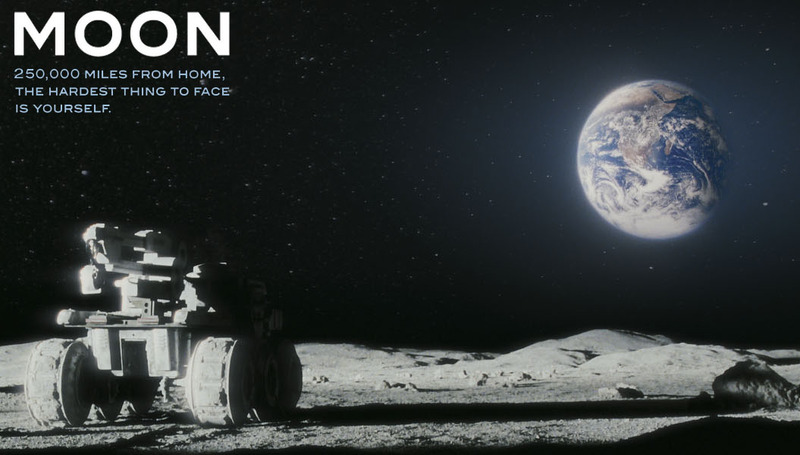 Today, the spotlight falls on a science fiction film called Moon. Moon is the 2009 directorial debut of Zowie Bowie Duncan Jones, who went on to direct Source Code in 2011, and has recently been tapped for the upcoming film adaptation of Warcraft. It was the winner of two BAFTA awards, two British Independent Film Awards, two Fantastic'Arts Prizes, and the 2010 Hugo Award for Best Dramatic Presentation, Long Form (beating out heavyweight blockbusters like Avatar, Star Trek, and District 9). On the surface, Moon is a story about isolation. 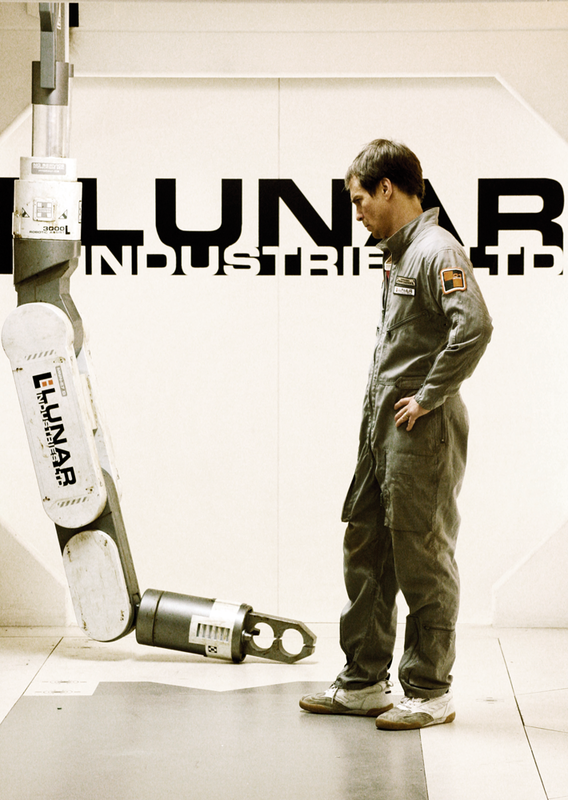 The film introduces us to Sam Bell (played by Sam Rockwell), an astronaut at the tail end of a three-year contract with a company called Lunar Industries. The job sees him taking up the sole residency of a base on the dark side of the moon, where he oversees the automated mining of Helium-3. In the near future, this isotope has become the answer to the world's energy crises thanks to breakthroughs in nuclear fusion (a scenario that might become reality one day). As his contract winds down and his ticket home is just a couple weeks away, strange things begin to happen to Sam Bell. At first, it all seems to be a side effect of his prolonged seclusion, but it soon becomes clear that something else might be going on up there. Unfortunately, it becomes difficult to describe the plot much further without spoiling some of the turns for those who've yet to see it. For me, discovering what was really happening on the dark side of the moon was one of the most enjoyable parts of the movie. In fact, I was originally going to embed a video in this post, but the official trailer actually reveals one of the story's biggest plot twists. It's a revelation that comes fairly early in the film, but I still think my enjoyment would have been lessened if I'd known about it ahead of time. If spoilers don't bother you, however, you can watch the trailer here. With Moon, Duncan Jones clearly sought to pay homage to the influential science fiction movies of the 1970s and '80s, and with a budget of only $5 million and a primary cast of just two actors, he manages to do exactly that. From the get go, every scene recalls classic films like 2001: A Space Odyssey, THX-1138, Solaris, and Logan's Run, and that's undoubtedly one of the reasons I liked it so much. It hits all of the right nostalgia buttons for me, and yet still manages to pack a few neat surprises. In fact, one of my favorite things about Moon is that it deliberately toys with viewer expectation. Take Sam's assistant on the mining base, an artificially intelligent robot named GERTY (voiced by Kevin Spacey) that sees to his every need, from bringing his morning coffee to providing a haircut when he needs to look sharp for a video transmission. When things start to get weird on the base, it's hard to avoid implicating GERTY, as it's made clear that he knows much more than he lets on. But rather than play Sam's companion as yet another cookie-cutter HAL 9000 ripoff, Moon treats GERTY to a satisfying character arc as he struggles with the growing conflict between his role on the base and his primary objective of helping Sam Bell. GERTY subverts the malevolent AI trope beautifully, and becomes one of my favorite movie robots in the process. His awesome emoticon expressions don't hurt either. That's just one example of how Moon manages to play with genre convention to enhance the character drama at the heart of its story. If it sounds like your cup of tea, and your curiosity has been piqued by all of these spoilers I'm dancing around to avoid ruining the movie, I'd highly recommend picking it up. It's out on Blu-ray if you'd like to own it, or you can stream it on Amazon instant video. As much as the critics seemed to like it, it didn't end up getting as much attention as it deserved, I think. That happens with indie movies, though. Thanks for reading, DRC! Hope you like it. Well, either way I hope you enjoy it. And I don't blame you for skimming the entry. I'm pretty much the same way. It's tough to go into a movie with a blank slate these days. There's just so much info out there on the net everywhere you look. Source Code was a cool flick. I'll look for this one on NetFlix! Yeah, Zowie Bowie can really direct! Maybe we can expect great things from Kal-El, Apple, and Pilot Inspektor in 20 years. It looks like he's also slated to head up a Warcraft movie coming out in "??? ?," which I'll be looking out for. Source Code had a very interesting concept. I wish the big studios would take more chances on movies like that. Thanks for the comment, Alex. If so, I hope they at least have the good sense to change their names like Zowie did! Thanks for reading, twowrongs. Moon is a great movie that more people should watch. Glad you blogged about it! Much agreed. One of the reasons I started the speculative spotlight series was to share things that might have been overlooked. Okay, sold! I watched the preview. I think I see the plot point you were talking about. I have to watch it now for an explanation. I think you'll still enjoy it, even knowing that twist. Even better if that made it more enticing for you. Am very interested in this movie now. Thanks for passing some info. about it on, JW! No problem! Hope you enjoy it, Randi. I saw this movie last year. It is one of my favorites! Great Review! I actually popped over to your blog this morning to read your Monday morning update, wondered where the update was, then finally remembered that you switched to Wednesdays, lol.